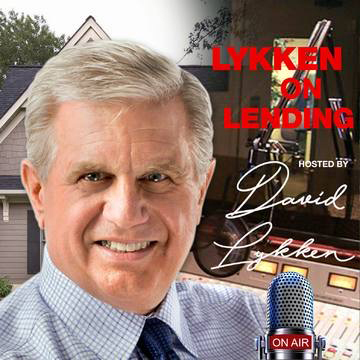 Our Hot Topic guest on the Lykken on Lending program today is Jeffrey Bode, Chairman of the Board, Chief Executive Officer and President of Mid America Mortgage, Inc. If a lender was notified by their warehouse bank that their line was being canceled and they need a solution to move forward how would this work? If someone had a loan that was intended to be sold to an aggregator or a bond loan that did not meet requirements how would they go about getting this loan paid off of their line? Since you have been on the forefront of technology in the mortgage business where do you see the retail business going in the next three years and also the long term in the next ten years? What are the risks to your business from the government shut down? You’ve acquired several companies over the last few years. . .the most recent being AMSW out of OKC. What are the risks to an acquirer of a mortgage business? What changes to you see in mortgage technology in the near and intermediate term? Margins and volume are compressing. . .what actions are you taking to combat this? Want to learn more about Mid America Mortgage? Mr. Bode purchased Schmidt Mortgage Company on March 31st, 2010 and reorganized its operations and incorporated the loan production of Moncor (a mortgage operating unit he managed prior to the acquisition) in August of 2010. In December of 2011. Mr. Bode changed the name of Schmidt Mortgage Company to Mid America Mortgage, Inc. 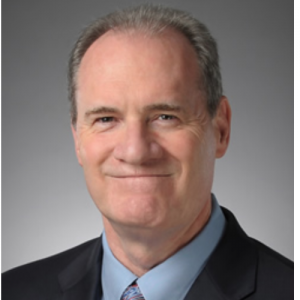 Bode founded the original Mid America Mortgage, Inc. in 1989 and was the first lender to develop an interface inside Calyx’s Point software. The interface enabled brokers to price, lock, underwrite, and receive loan status, while drawing loan documents within Point or from a website linked to Point. Mr. Bode further developed the technology and has utilized those advances to offer superior performance in the mortgage industry. In 2003, Mr. 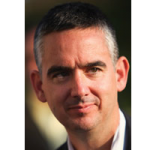 Bode sold the assets of the previous Mid America Mortgage, Inc. to Aegis Mortgage and focused on developing his software until 2007 when he returned to the mortgage business. Mr. Bode opted to stay out of ownership of a mortgage company due to the perceived risk he saw in the products being originated from 2004 until 2007. During that time he focused on winding down the original Mid America Mortgage, Inc., developing Mortgage Machine software, and creating a tax lien business. Mr. Bode also has successfully founded and grown two other companies. Moncor Tax Advisors is a tax lien company that he founded in 2006. Within two years of its founding, Moncor became the largest single family tax lien company in the State of Texas. In 2014 Bode sold the assets of Moncor Tax Advisors. Bode also owns and manages Mortgage Machine Services Inc. a technology provider that is an IT solution for mortgage companies. It is the origination system that MAM utilizes. Bode has been in mortgage banking since 1981. Mid America Mortgage is the largest securitizer of Section 184 loans (Native American Lending) issuing 47% market share of the 184 loans. Buyer of Scratch and Dent loans. We have provided liquidity to independent mortgage bankers buying just miss and delinquent government loans to facilitate liquidity or to help warehouse lenders through liquidations of lenders. We have acquired distressed lenders and found a place for originators when they had to move fast. Mid America Mortgage, Inc pioneered e-closings and are currently doing in excess of 90% of our loans with electronic closings. Through an affiliation with a private money source we can provide warehouse lines to low net worth and distressed mortgage bankers to reduce the stress and allow the pipeline to be closed out under more favorable terms. Schmidt Mortgage Company was founded in 1941, incorporated in 1959, and renamed in 2011.